What is the form of government in Taiwan? 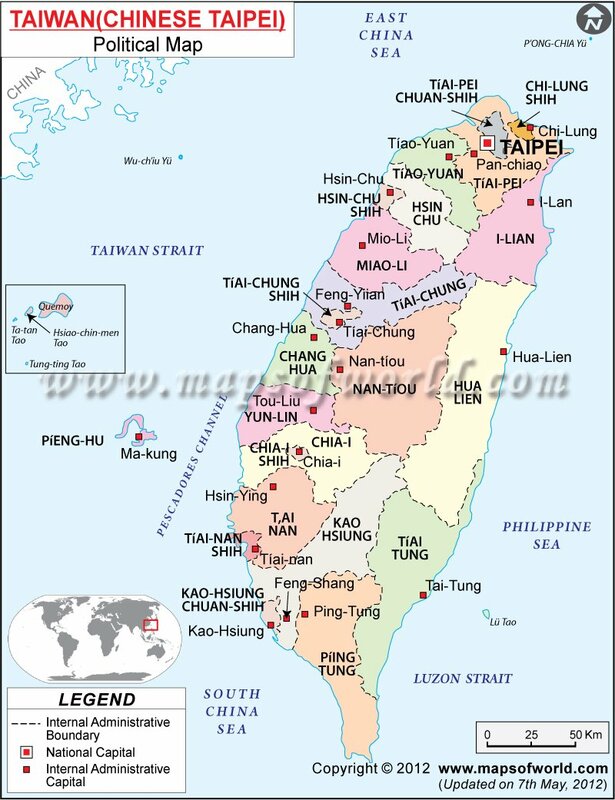 The name of the state that governs the island of Taiwan is actually the Republic of China. Because Taiwan is by far the largest island under its jurisdiction, and contains most of its population, the republic itself is commonly referred to as Taiwan, though it also incorporates a handful of smaller islands. The Republic of China is currently a representative democracy, though it spent many decades as a military autocracy. There is an ongoing rivalry between the Republic of China and the People’s Republic of China (which governs mainland China) as to which one is “the real China.” Additionally, many Taiwanese citizens feel that their nation has developed a separate identity and should no longer be associated with China in any way, although this position is controversial. What is the political status of Taiwan? Taiwan is in many ways caught in a political limbo, the result of a stalemate between the Communists and the Nationalists at the end of the Chinese Civil War in 1949. The Communists formed the People’s Republic of China and gained control of the Chinese mainland, while the Nationalists formed the Republic of China and governed Taiwan and nearby islands. To this day, both governments continue to claim that all of China belongs under their sole jurisdiction, which makes international relations awkward as each foreign country needs to decide which Chinese government they should recognize. Most countries recognized the Republic of China until the 1970s, when the People’s Republic of China replaced them on the U.N. Council and subsequently became the more recognized of the two. The Republic of China is tacitly acknowledged by the United States and most other countries even as they officially recognize the People’s Republic of China, but the entire situation remains unresolved and is rarely discussed openly by world leaders. Taiwan’s history is one of many contrasts, having gone from the authoritarian days of the White Terror to a state of near-total freedom during and after the Taiwan Miracle. What was the White Terror? In relation to Taiwan, the White Terror refers to many acts of repression committed by the Republic of China against Taiwanese people during a 38-year period of martial law, which finally ended in 1987. It is estimated that more than one hundred thousand people were killed or imprisoned during this time. Most of the victims were accused of stirring anti-nationalist sentiment against the ruling Kuomintang Party, which at the time was growing more and more paranoid that the United States CIA and/or the People’s Republic of China would make a move to destroy it. The Republic of China peacefully transitioned into a true democracy in the late 1980s and early 1990s, but the events of the White Terror remain a sensitive topic. What was the Taiwan Miracle? of the twentieth-century, peaking in the late 1990s. Utilizing cheap labor and taking advantage of Western interest in mass-produced goods, the economy of Taiwan was able to grow at an astonishing rate, paving the way for a massive upgrade in its population’s standard of living. Though growth has slowed and mainland China has now replaced it as a huge exporter of industrial goods, Taiwan still reaps the benefits of the advances that were made during that time. Much of its economy has transitioned to favor the development of technological services, and it is expected to remain prosperous in the near future. Taiwan’s area falls somewhere roughly between 35,880 square kilometers (about 13,850 square miles) and 36,000 square kilometers (about 13,900 square miles), depending on which islands are included in the count. The vast majority of its territory, around 99 percent, is made up of the main island of Taiwan. The city of Taipei is the provisional capital of the Republic of China, and is home to nearly three million people. The greater Taipei metropolitan area, however, contains close to seven million people and has the highest population density in Taiwan. What is the total population of Taiwan? It is estimated that more than 23 million people live in the Republic of China, the vast majority of them residing on its biggest island, Taiwan. Most of these people are of ethnic Chinese descent, but there are small populations of indigenous peoples and those of other ancestries. What is the national religion in Taiwan? The Republic of China’s constitution allows for its citizens to worship freely. Interestingly, the general religious makeup of Taiwan is not all that different from that of mainland China—the vast majority are Buddhist and/or Taoist, with Confucian values strongly influencing their culture and society. There are also strong enclaves of those who belong to the Christian or Muslim faiths, in addition to many smaller groups devoted to other religions. In the modern era, the Republic of China has upheld its promise to provide freedom of religion without many complaints. A majority of citizens of the Republic of China speak Taiwanese Hokkien as their primary language. The most widespread language taught in schools, however, is standardized Mandarin, and practically all Taiwanese people speak it as a first or second language. The Hakka, one of the larger ethnic groups in Taiwan, also speak their own Hakka language. The various indigenous peoples have their own languages as well, which they often speak in addition to Mandarin and Hokkien. Several foreign languages, notably English and Japanese, have a fair number of speakers as well.